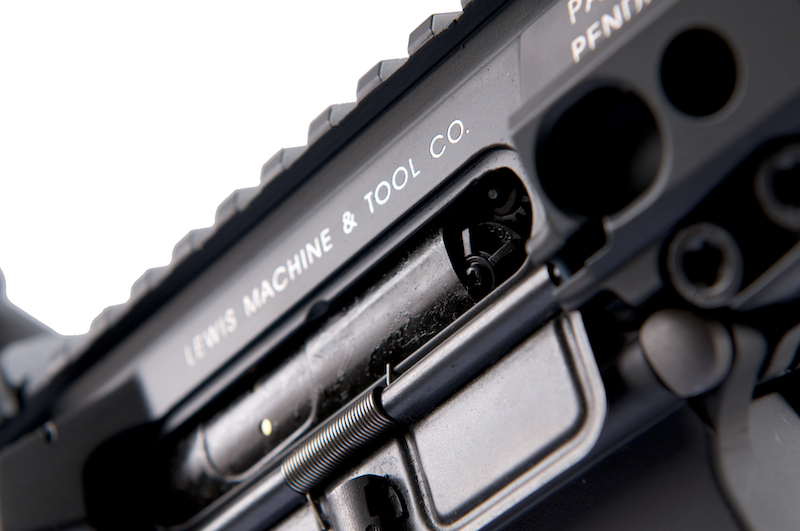 LMT, Lewis Machine and Tool Company. 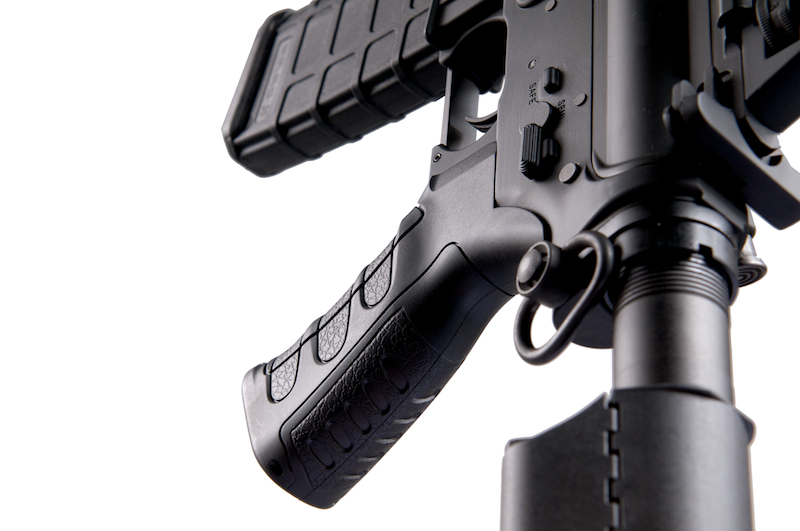 The MRP has a one piece upper receiver for ARs that allows the shooter to change the barrel length in seconds. 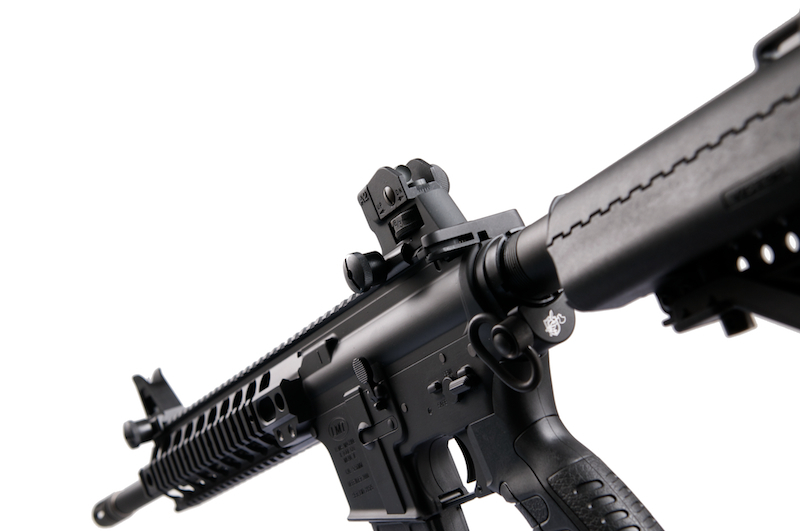 It features a free-floating barrel, that reduces over-heating and increase the accuracy of the weapon on the real steel. 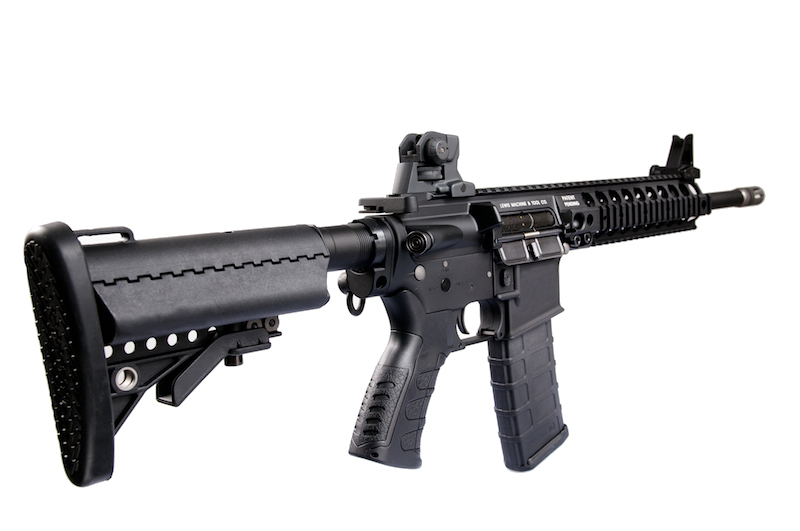 It also extends the barrel life, easy-to-access/clean design. 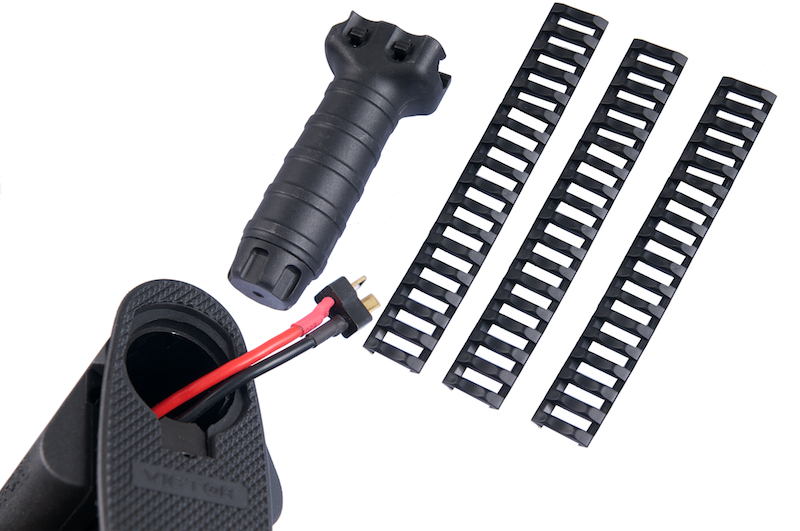 Made from high quality Aluminum Die-Casting. 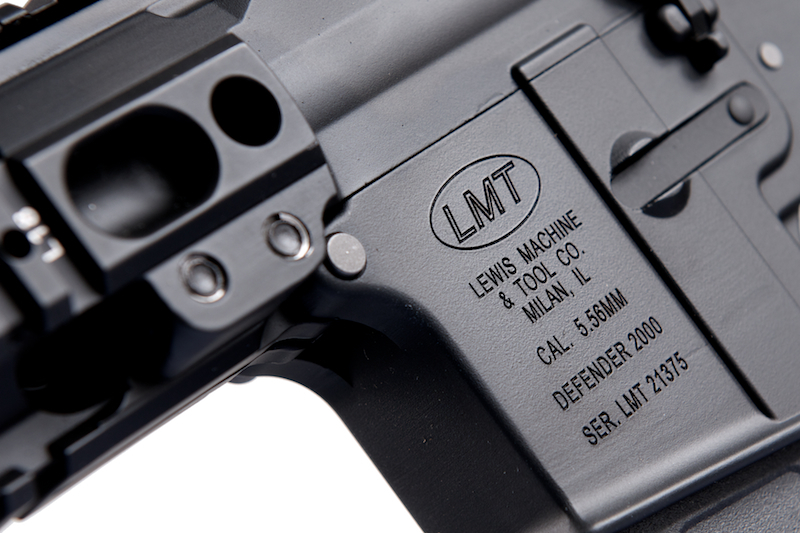 This metal body features the LMT logos, and realistic body markings, as well as a unique LMT serial code machine stamped onto the body. 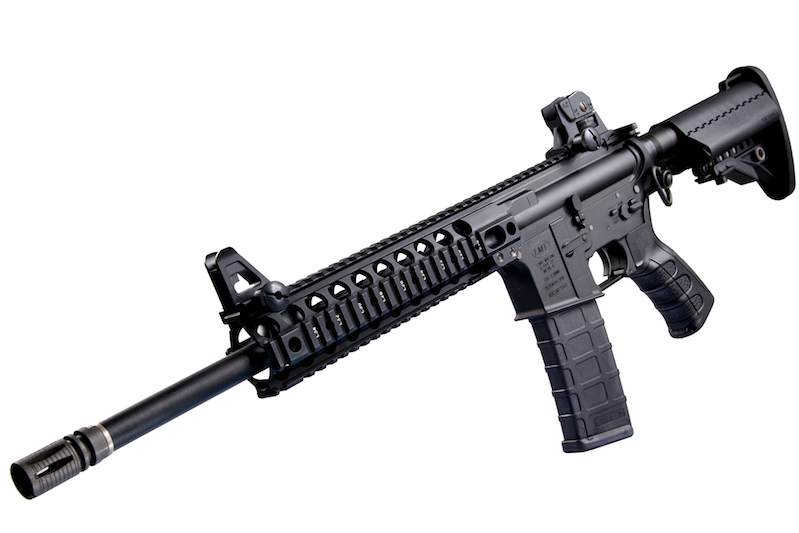 It runs great out of the box with a decent rate of fire even on an 8.4v NiMh.